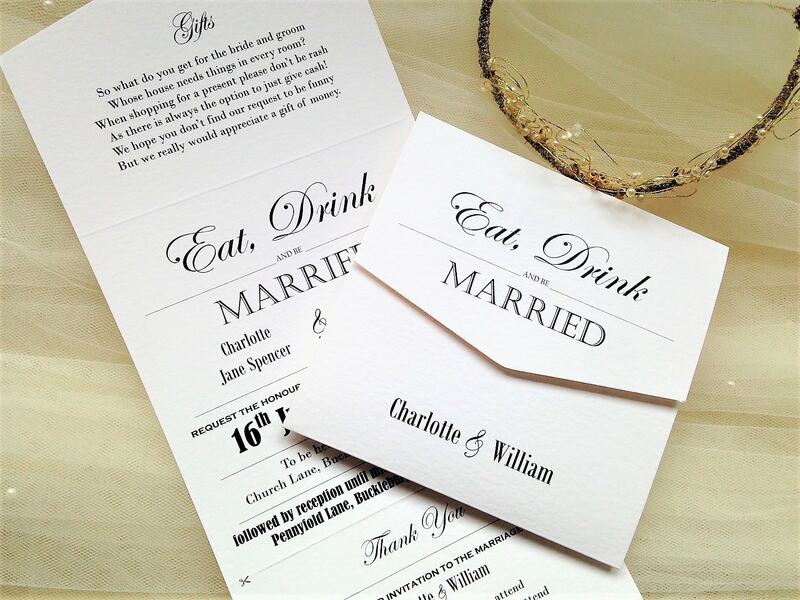 Vintage Tri fold Wedding Invitations with a snip off RSVP card. 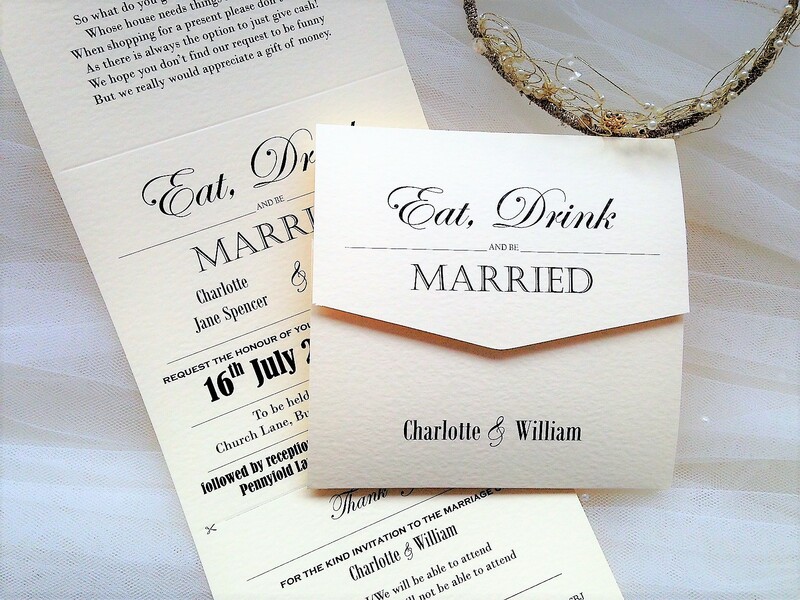 All our Vintage Tri Fold wedding invitations are supplied with free matching envelopes. 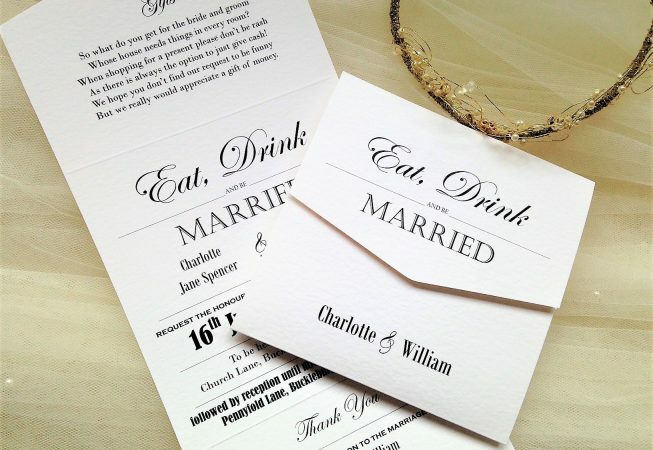 This Tri Fold style of invitation has three panels, gift details/information can be printed on the top, invitation on the middle section and the RSVP reply card is printed on the bottom panel. See additional photographs. Please note that the font style and spacing shown is a predesigned vintage template so you must follow the layout shown if you like the design. 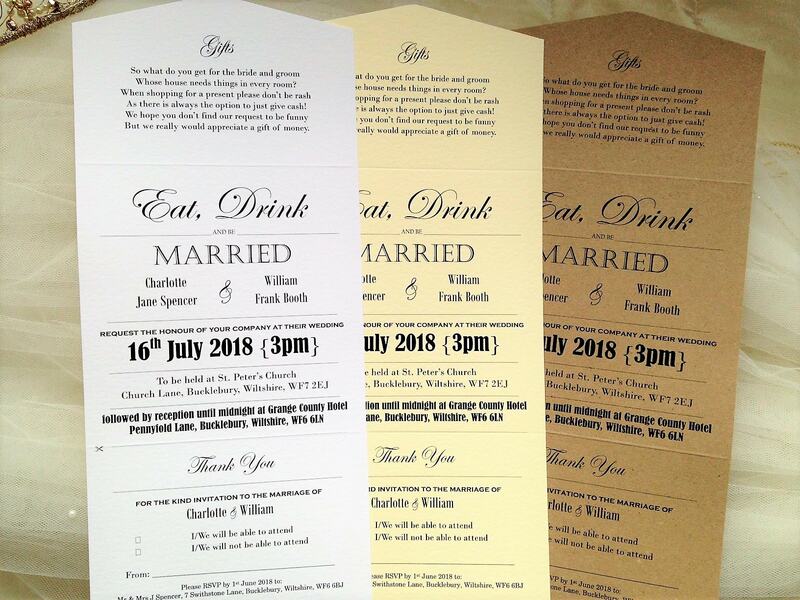 This doesn’t allow for guest names to be printed inside the invites but we can print them on the front if you wish in place of the bride and grooms names. 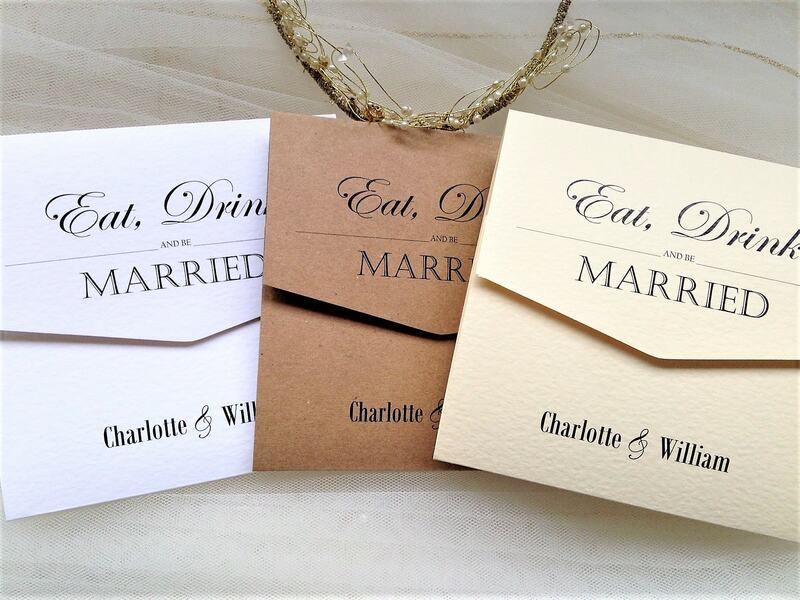 Choose: Eat, Drink and Be Married or Eat, Drink and Celebrate. Velcro closers are included in the price for you to apply if you wish.